This restoration site of the River Enns is located in the Federal State of Styria/Austria. At the beginning of the 20th century a systematic flood protection programme was initiated. Section by section, the course of the River Enns was straightened, river banks were stabilized and most of the side arms backfilled. 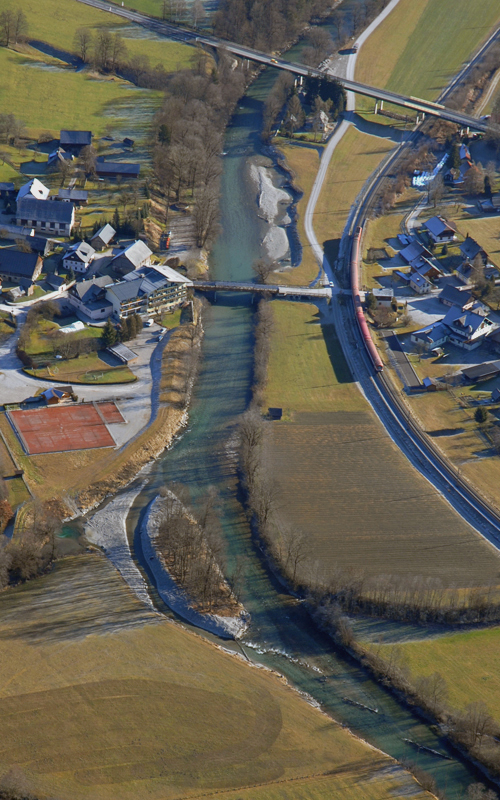 In order to increase habitat diversity of the river bed and the riparian zone small scale restoration measures were implemented: Over a distance of 270 m the riprap was removed and a new side arm was created. New gravel banks as well as pools and water filled backwaters developed due to river bed widened.